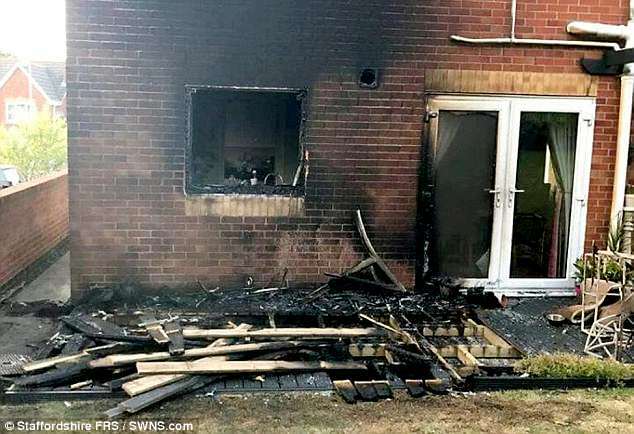 Firefighters were called to tackle a house blaze which was sparked by sunlight reflecting from a glass table in the back garden during Britain’s heatwave. 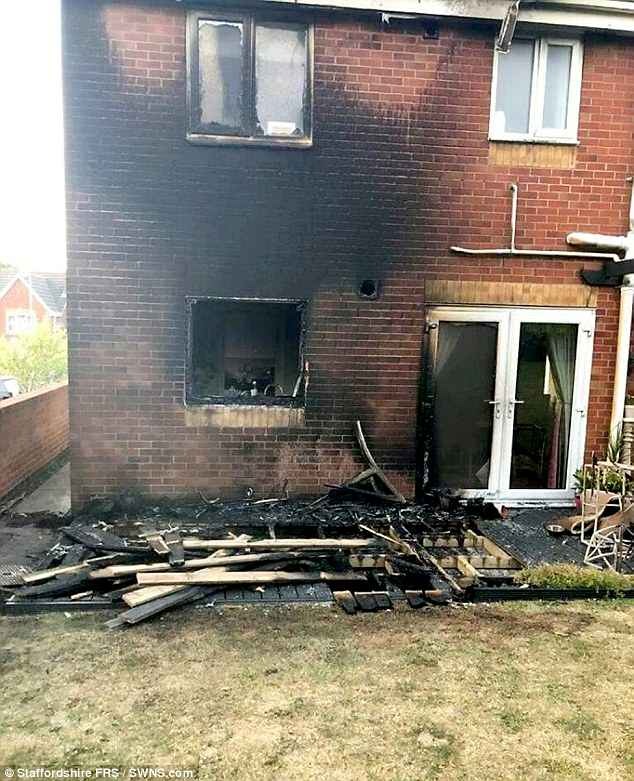 Staffordshire Fire and Rescue have now issued a warning to keep mirrors and glass out of direct sunlight to prevent similar fires breaking out. Crews were called to the house in Knypersley in Stoke-on-Trent at around 3.40pm on Monday. The occupants were upstairs but were able to safely flee the semi-detached property before the flames spread. Firefighters rushed to the scene and used breathing apparatus and hose reel jets to bring the blaze under control. A Staffordshire Fire and Rescue Service spokesman said: ‘Crews from Newcastle and Kidsgrove attended and the detached property was well alight on arrival. ‘Some of the decking at the back of the house had to be cut away as crews extinguished the fire. ‘It was caused by sunlight reflecting on a glass table outside in the back garden. The occupier was upstairs by managed to get out of the house safely. The service also took to Twitter, posting an image of the damage and wrote: ‘Please be careful in this #heatwave. Copyright © 2019 UK News Desk. All rights reserved.